​The coastal habitats along the Great Lakes have their own unique plants and animals which have adapted to these special environments. 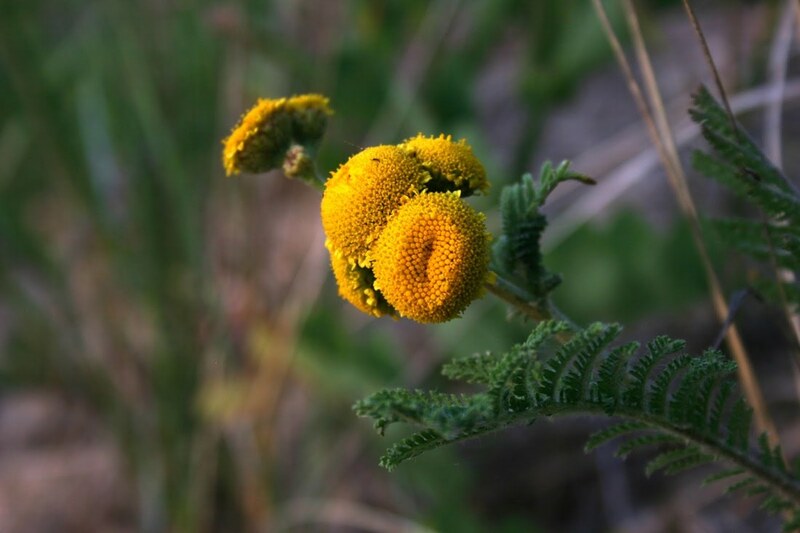 One plant species, called "Lake Huron Tansy" (LHT) or Tanacetum bipinnatum, is a rare State listed Threatened species which grows best on beaches and dunes along the Great Lakes shoreline and can tolerate the extreme conditions found here. LHT is a northern plant, and Grand Traverse and Leelanau County are as far south as it grows. When it flowers, LHT has beautiful deep yellow-orange button shaped flowers, but flowering is rare, and when not in bloom, it can be hard to distinguish the leaves from non-native Common Tansy and Yarrow. This year, LHT was flowering at Maple Bay Natural Area where it grows along the lakeshore and forest edge. LHT grows by rhizomes, and although it is a species of active dune and shorelines and requires some sand movement, it needs just the right amount of sand disturbance. Too much disturbance from foot traffic is detrimental to this species and if non-native aggressive tree species like Lombardy Poplar take hold and speed up dune stabilization, the habitat requirements for this and other dune specific plants can be jeopardized. GTRLC has been working for over 5 years with volunteers on invasive plant removal to help ensure that Lake Huron tansy and other unique and threatened dune species thrive in protected areas along Grand Traverse Bay. LHT was a favorite species of the renowned University of Michigan botanist, Edward Voss, and it graced the cover of Michigan Flora. August-As the dog days of summer arrive, so too do the sounds of Cicadas. These fascinating insects are found on every continent except Antarctica, and Michigan hosts ten species. Cicadas are large insects with a long and unique life cycle. They live 2-17 years (depending on the species) and nearly all that time is spent underground feeding on tree root sap. 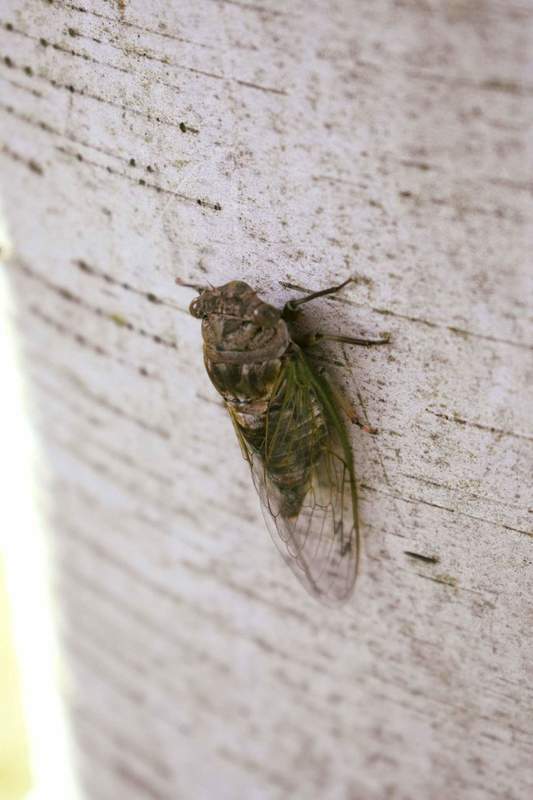 Their life cycle includes hatching from eggs laid on trees and shrubs, moving underground in a larval state, turning into nymphs and eventually, after years, emerging for a short-lived above ground adulthood- in Michigan, Cicadas only live 2-6 weeks above ground. This time of year Cicadas are unearthing themselves, shedding their exoskeletons, unfolding their wings and flying to the tops of trees to project their song. That ubiquitous, unique and sometime noisy sound (Cicadas make the loudest noise of any insect) synonymous with dog days of summer is the male Cicada calling to potential mates._ Angie Lucas, Senior Land Steward, Grand Traverse Regional Land Conservancy. 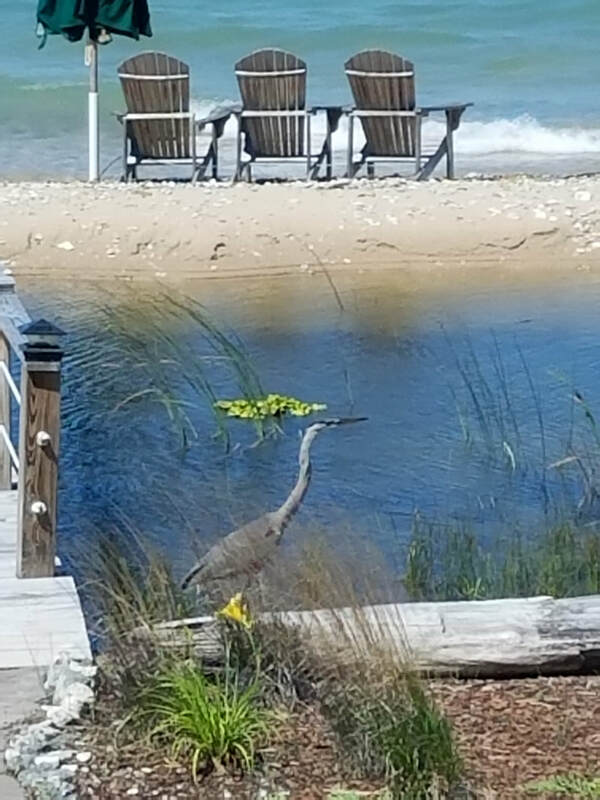 August-This crane was stopping by for a little sushi on the bay, North Shore Drive. _Diane McCowan. August 12-Although hoping to observe the Perseids meteor showers from International Dark Skies/Headlands Park near Mackinaw City, the moon was so bright we could see our shadows but not the meteors. However, two nights later, from the my sidewalk in Elk Rapids I observed several dim meteors and three magnificent bright blazing ones with long tails during a twenty minute period. Royce Ragland. August 19-We saw a Blue Heron out in the cherry orchard on our walk this morning. And the hawk was very vocal so I think he found some breakfast._Jane Stauffer. August 19-While having our Zumba class at the Pavilion and enjoying the waves and boats entering the Harbor, we were treated to a very special sighting. Two cormorants were cavorting on the rocks in the Harbor. They danced and played and gave us quite a long show. Then they gracefully departed just as we were finishing the class. _Christine Petersen. August 21_With no advance planning and no safe glasses for the solar eclipse, I headed for the Bellaire Public Library, hoping for free glasses. Upon arriving I learned that several hundred other folks had the same idea, and there were no more glasses. No problem! Half the fun was sharing glasses and talking with all those people in the parking lot! _Royce Ragland. 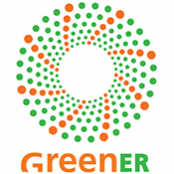 August 25-Interested in helping help track shoreline birds? In the last two decades, shorelines of Lake Michigan have experienced birds (such as loons, gulls, cormorants, grebes, and ducks) dying due to Type E or Type C botulism - and scientists need your help in tracking this phenomenon. Monitoring for potential botulism outbreaks (termed avian botulism) is easy! Commit to walking and visually surveying predetermined stretches of coastline between Acme and Norwood once a week or every other week from Sept-Nov. If interested, please RSVP to the Sept 7 training at the Jake Blesma Pavilion in the Elk Rapids Harbor. Heather Smith, Baykeeper, Watershed Center Grand Traverse Bay. 231.935.1514 x 3 or hsmith@gtbay.org.